Blockchain supply chain startup Devery has teamed with the Tunisian Ministry of Education to implement a blockchain tracking system for the ministry’s school meals program. Devery provides comprehensive product verification services. The company’s software abstracts the difficulties of blockchain development by providing tools and applications to clients. The Tunisian Ministry of Education operates a school meal program designed to offer one fresh meal a day to under-privileged students in its primary and secondary educational system. The program, which serves approximately 6000 schools, is currently managed by the United Nation’s World Food Program. 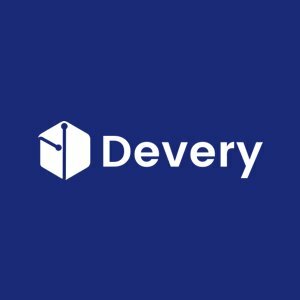 Under the partnership, Devery will provide the technical advisory and development capability to build, train, and utilize a transparent and more accountable blockchain system of tracking the meal deliveries, as well as reporting issues directly to the Ministry in real time. Devery will also train personnel on the ground to utilize and maintain the blockchain solution for the foreseeable future. The initial rollout of the project is to 1,500 primary school students. But the ultimate goal is to scale to all 400,000 Tunisian school children eligible for food assistance. Maria Lukyanova, the United Nations World Food Program Representative and Head of Country Office for the Republic of Tunisia, said that the partnership will allow them to explore how supporting innovation, through the introduction of solutions based on blockchain technology, can contribute to strengthening the effectiveness and efficiency of the Tunisian national school meals program. Andrew Rasheed, founder and CEO of Devery, said that ensuring the safe delivery of the food to children via blockchain technology is a cause they truly believe will impact the lives of many to come.